Organized by the Museum of Contemporary Canadian Art and the National Gallery of Canada. While wandering the city of Toronto surrounded by people, cars and tall skyscrapers, I found respite while visiting the Museum of Contemporary Canadian Art and viewing their latest exhibition Spectral Landscape, a selection of work by Peter Doig, Tim Gardner and Sarah Anne Johnson. 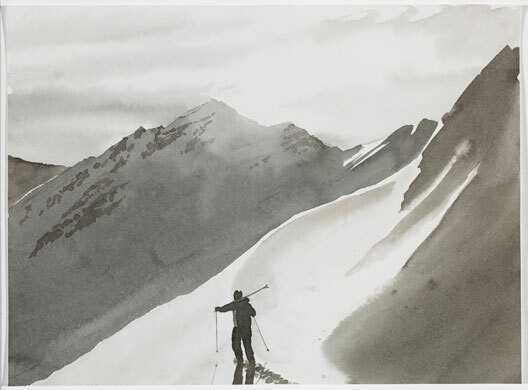 Drawing upon the contemporary art collection of the National Gallery of Canada, the exhibition highlights not only the peaceful serenity of the outdoors itself, but also of our intrusion into it. Dream-like, the works range from the ambiguous to the sublime. Peter Doig, Drifter, 2001. NGC Collection. Courtesy of the Museum of Contemporary Canadian Art. © Peter Doig. 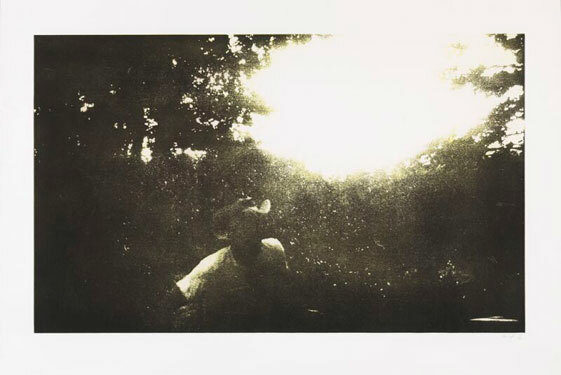 Peter Doig’s works, often based upon found photographs, capture moments of tranquility with a touch of ambiguity, and evoke a mood that is both familiar and indefinable. 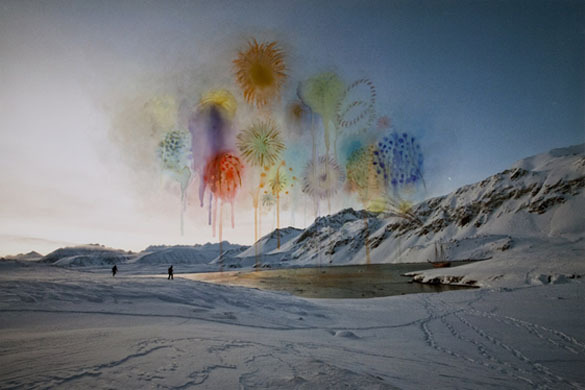 Canadian artist Sarah Anne Johnson’s works are part of a series entitled Arctic Wonderland, that was inspired by her participation in The Arctic Circle Program, an annual expeditionary residency program led by artists and scientists into Svalbard, Norway in 2009. Her photographs capture what she saw, while her direct additions to the photographs themselves explore one’s hand and role in the construction of one’s vision. Inspired by old photographs from his youth, Tim Gardner’s landscape paintings are less about the landscape itself but more about his own relationship to it. The National Gallery of Canada (NGC) at the Museum of Contemporary Canadian Art (MOCCA) is a three-year initiative that will see the two institutions co-organize and present a series of exclusive exhibitions at MOCCA drawn from the NGC’s extensive Contemporary Art collection. 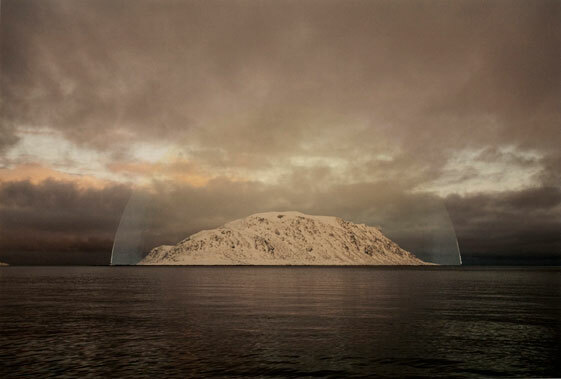 Spectral Landscape is on view at the Museum of Contemporary Canadian Art until April 1, 2012.